Stories have the power to excite us, and it is axiomatic that people love stories. But I want to talk about specific kinds of stories: myths. Mythology is everywhere. You can’t go a day of the week without encountering some form of mythology. Literally—look at the days of the week. In English (originally a Germanic language), all of the names of the days of the week come from Germanic and Norse mythologies, with the exception of Saturday, which is Roman (Saturn is identified with the Greek god Cronus). Sunday is the day of Sunna, the Germanic sun god. Monday is the day of Máni, the Germanic moon god. Tuesday is the day of Týr, the Scandinavian god of battle. Wednesday is the day of Woden (or Odin), the supreme Scandinavian god. Thursday is the day of Thor, the Scandinavian god of thunder who wields lightning bolts. Friday is the day of Frigga, the Scandinavian goddess of marriage and the home, and the wife of Odin. Romance languages have a similar connection to mythology in their days of the week, except for Saturday (Sábado in Spanish), which comes from the Hebrew word for rest (cf. Sabbath). Most of the other Spanish days of the week come from Roman mythology. Monday is Lunes, a nod to the moon deity (cf. lunar). Wednesday is Miércoles, from Mercury (Greek, Hermes). Thursday is Jueves, from Jove/Jupiter (Greek, Zeus; cf. Thor—Jupiter/Zeus also wields lightning bolts). Friday is Viernes, from Venus (Greek, Aphrodite). From the above list it is evident that the names of the planets5 come from Roman mythology as well. Mercury, Venus, Mars, Jupiter, and Saturn have been mentioned. Uranus (father of Cronus/Saturn),6 Neptune (cf. Greek, Poseidon), and Pluto (cf. 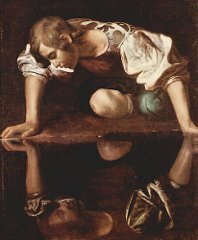 Greek, Hades) are also Roman gods.7 Astrology likewise is brimming with mythological stories, and Castor and Pollux even make an appearance in the Bible.8 Furthermore, four of our months have names specifically derived from gods: January (Janus), March (Mars/Ares), May (Maia), and June (Juno/Hera). Even our everyday allusions are infused with references to pagan gods and demigods. For example, it is common to hear a football commentator use “Achilles heel” to describe a losing team’s inability to convert on the fourth down. Popular culture is enjoying a fascination with mythology as well, especially in movies. Troy came out less than a decade ago, and since 2010, there have been four movies based specifically on Greco-Roman mythology.9 Outside of Greco-Roman mythology, there are many more recent movies, just since 2001, including Thor, Harry Potter (8 movies), Lord of the Rings (3), The Chronicles of Narnia (3), and others. In addition, children’s literature has enjoyed somewhat of a mythological renaissance. Trending characters such as Harry Potter and Percy Jackson are actually newcomers—Lucy Pevensie and Bilbo have been around for more than fifty years. There are contemporary Christian fantasy writers as well, including N.D. Wilson, Jeffrey Overstreet, L.B. Graham, Andrew Peterson, Ari Heinze, and Lee Duigon. Wilson—who may be known in the Christian community more for his nonfiction book and DVD, Notes from the Tilt-A-Whirl—has especially made an impact with his well-reviewed fiction for young adults. Although his first novel, Leepike Ridge, is considered “literary fiction” and is not fantasy or mythology per se, it is structured loosely on the plot of Homer’s Odyssey (with a salute to elements from Tom Sawyer as well). Wilson’s 100 Cupboards trilogy contains many fantastic elements, and his newest series (The Ashtown Burials—still in progress) has many ties to ancient stories, mythical and otherwise. Ironically, even atheists have their own fantasy series by Philip Pullman, who designed the His Dark Materials trilogy as an attempt to counterbalance the overt theism in C.S. Lewis’ Narnia chronicles. Perhaps Christians should take it as a compliment that atheists feel the need to copy Lewis. Usually, Christians are the ones to create pop culture knockoffs, such as the t-shirt with a picture of the blue Twitter bird and the clause, “Follow Jesus.” The Christian ghetto is teeming with such silliness. We’re always the ones copying others. But I laughed pretty hard when I saw a bumper sticker that read, “Ankh if you love Isis!”10 Look, someone is finally copying us! But before Christians get too excited about “owning” a genre, we should think about how appropriate it is to be too closely connected to mythology. In Part 1 I have focused on the ubiquity of mythology. In Part 2 I will focus on propriety. 3 Throughout this piece I will also use mythology broadly enough to include fantasy and legend. 5 I’m referring to the “traditional” nine of them. 6 Notice that Jupiter, Saturn, and Uranus are consecutive: from son to father to grandfather. 7 Earth is a word with Germanic origins and does not come from mythology. Looking forward to Part 2- whether or not to expose one's children to mythology is a sticky subject amongst conservative Christian homeschoolers. I have a sneaky suspicion I may be weighing in on this one. Really looking forward to reading the other parts.